This will be one of the biggest weeks of the 2016 Legislative session and it’s an important week for you to Take Action on key bills! On Wednesday afternoon, LB 1032 – the Transitional Health Insurance Program Act, introduced by Sen. John McCollister – will have its hearing in front of the Health and Human Services Committee. 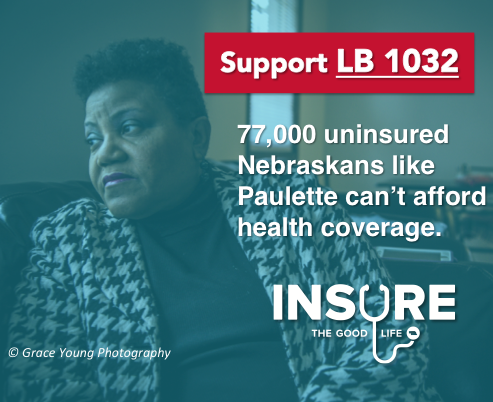 This bill will let Nebraska recoup $2 billion in tax dollars to pay for health coverage and boost the economy. 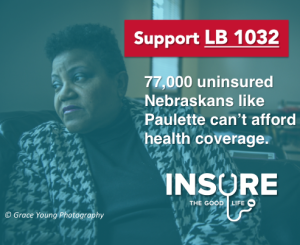 Please contact your State Senator and ask them to support this bill that will let 77,000 Nebraskans with low incomes finally afford the health insurance they need. All Nebraska families should have access to credit, but Nebraska law currently lets payday lenders charge some of the highest interest rates and fees in the nation. LB 1036 (Sen. Kathy Campbell) would limit unreasonably high interest rates and fees charged by payday lenders and strengthen transparency requirements. Hearing: Banking, Commerce, and Insurance Committee, Tuesday, 9:30 a.m. Click here to send a message to your State Senator. Hearing: Judiciary Committee, Thursday, 1:30 p.m. 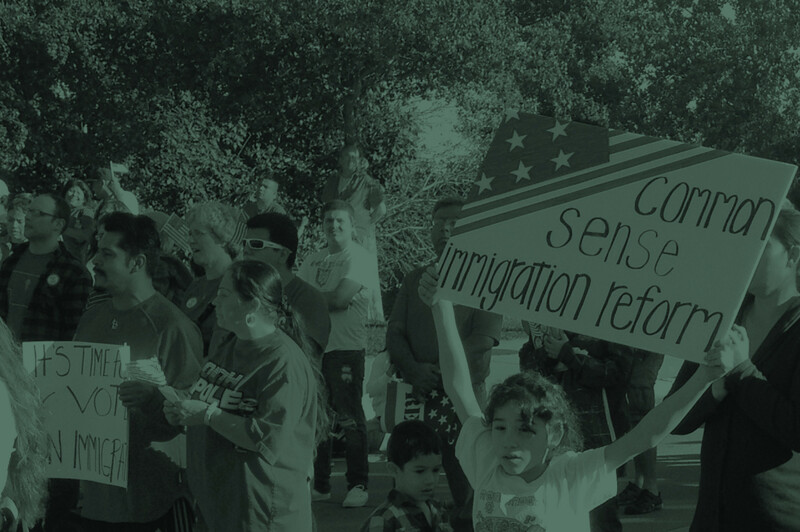 Contact your State Senator and urge their support. LB 850 (Sen. Sue Crawford) – Would allow Nebraska workers to contribute to a fund that would cover paid family leave from their jobs in order to care for a loved one. We testified in support of the bill at a Business and Labor Committee hearing on February 1. LB 866 (Sen. Kate Bolz) – A bill that would establish a Transition to Adult Living Success Program for young people “aging out” of the juvenile justice system. We testified in support of the bill at a Health and Human Services Committee hearing on Feb. 3. LB 1089 (Sen. Matt Hansen) – Would ensure the minimum wage earned by workers who primarily earn wages through gratuities or tips would at least meet the minimum wage of $9 per hour for other workers as passed by Nebraska voters in 2014. We testified in support of the bill at a Business and Labor Committee hearing on Feb. 1.